Harry's print making is almost exclusively wood engraving. He began engraving while a student of sculpture at the Royal Academy Schools (1978 -81). 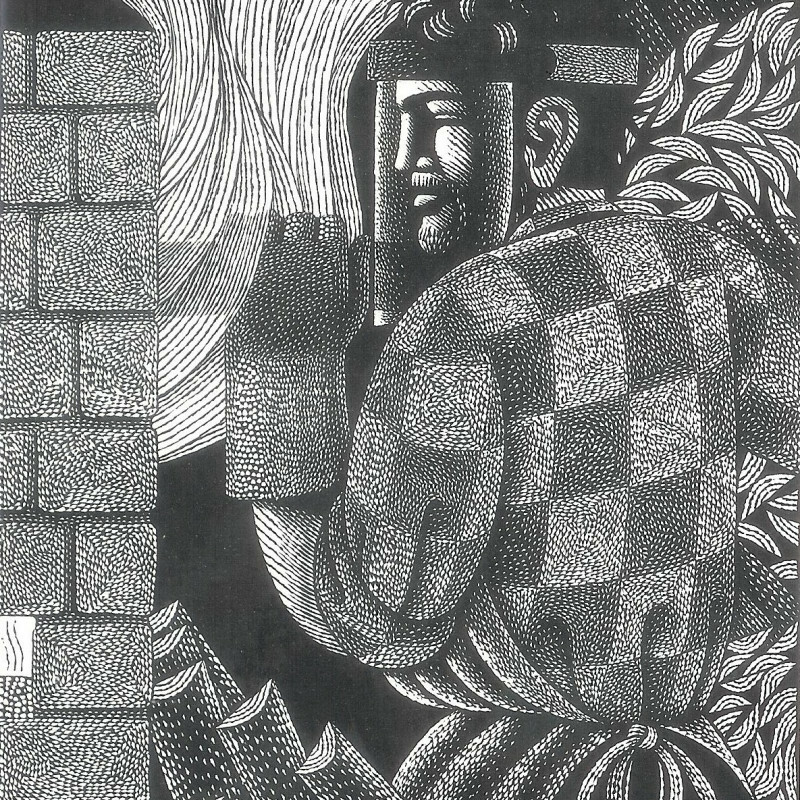 Much of his inspiration comes from literary sources and he has illustrated a number of books including 'Frankenstein', 'Crime and Punishment' and 'Huckleberry Finn' for The Folio Society and 'The Man Who Planted Trees' for Harvill Secker. He also works as an architectural stone carver, letter cutter and designer.